Many of us have experienced the initial excitement of a million-dollar idea, only to fade away as we’re met with doubts that prevent us from making it a reality. 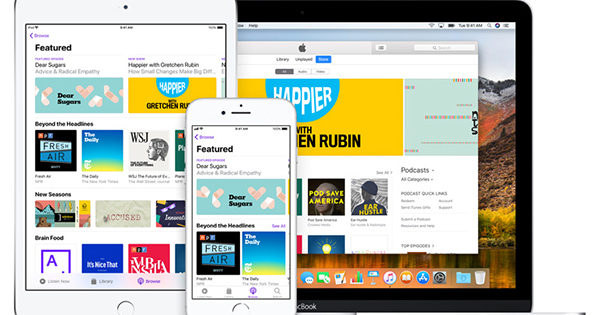 Whether it’s a lack of direction, motivation, or just plain confusion about how to get started, these six best podcasts for entrepreneurs offer a wealth of knowledge from people who have become successful entrepreneurs. This podcast includes video interviews by entrepreneurs, mentors, successful business owners that act like guest lecturers. The Foundation also has an online program where you can sign up for courses that teach you how to create a successful business out of a side hustle. Tim Ferris is the revolutionary author of Amazon bestseller, The Four Hour Workweek—a book that coaches young business people on how to maximize their productivity and their free time. His podcast will teach you how to work less and earn more with proven tactics from high-performing individuals. As part of the Stanford University Speaker Series, this podcast is where some of the brightest entrepreneurs and innovators come to share their experiences and what it means to be successful. Gary Vaynerchuk’s success came quickly after he generated$60 million for his family’s liquor store in just under 5 years. As the current chairman and CEO of the advertising agency VaynerMedia, Vaynerchuk’s charisma and natural entrepreneurial skills make for a first-rate podcast. Host Ken Coleman provides invaluable insight into common problems that prevent effective leadership. With guest lecturers such as Mark Cuban and Seth Godin, this podcast shares expertise from some of the world’s most savvy businessman. The business principles and code of conduct you’ll learn from this podcast will be applicable in every facet of your life. Offering a female perspective in the male-dominated industry of entrepreneurship, Amanda Boleyn uses her personal struggles to empower a generation of business-minded young women. Amanda left the corporate world to pursue a solo entrepreneurial venture. Her perseverance, despite many hardships, led her to work with prominent clients like AT&T, JP Morgan, and Goodcity Chicago.